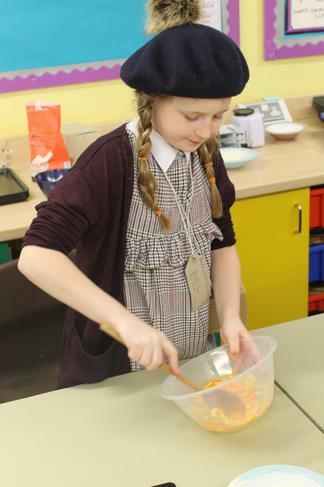 Year six is taught by Mrs Brunton, class teacher of Linden, and Mr Withams and Mrs Hurst who are class teachers of Juniper. They are supported in the mornings by Mrs Corbitt. The teaching team are supported by Mrs Parry. Please see below our curriculum information along with any information on trips and special activities. 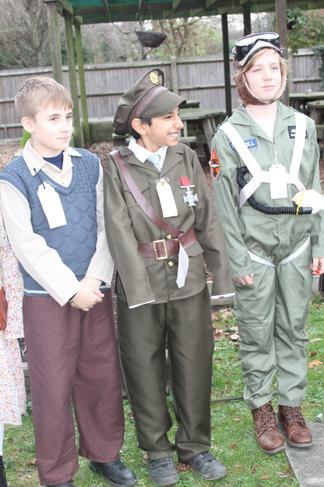 Year Six have gone back in time to the dark days of the Second World War. 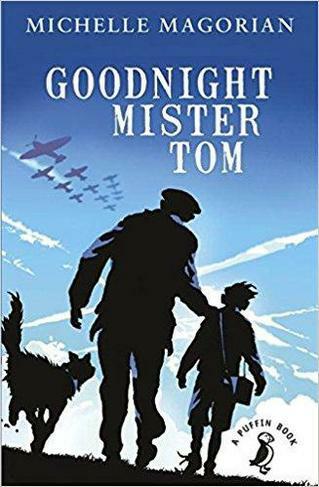 Central to our work, has been the uplifting novel, Goodnight Mister Tom by Michelle Magorian. A story that recounts one abused boy’s life-changing relationship with a lonely, curmudgeonly, elderly man, whom he calls Mr. Tom. 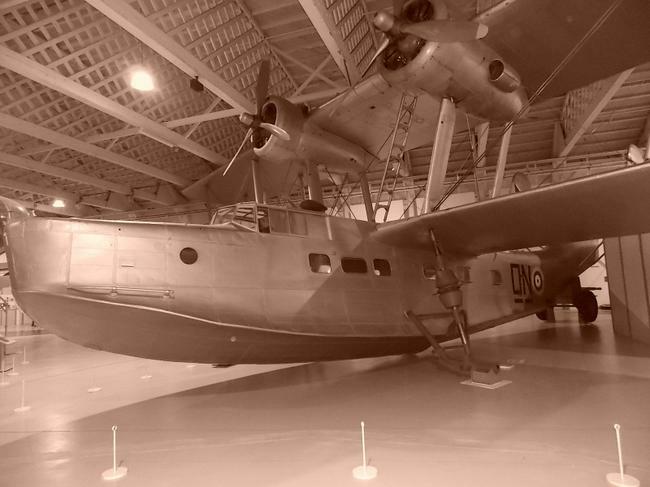 On the eve of WWII in September 1939, children were evacuated from England’s cities, particularly London, due to the waves of Nazi bombs that were soon to fall on the city during the London Blitz. Willie Beech is evacuated to a small village, Little Weirwold, in the English countryside, where the alien sights and sounds terrify him, at first. This coming of age novel expresses several themes, such as the damage of psychological and physical abuse, and the triumph of love over hate, all set against the background of WWII. Following the Power of Reading scheme of work, Year six started the unit by exploring what it would have felt like to have been evacuated. 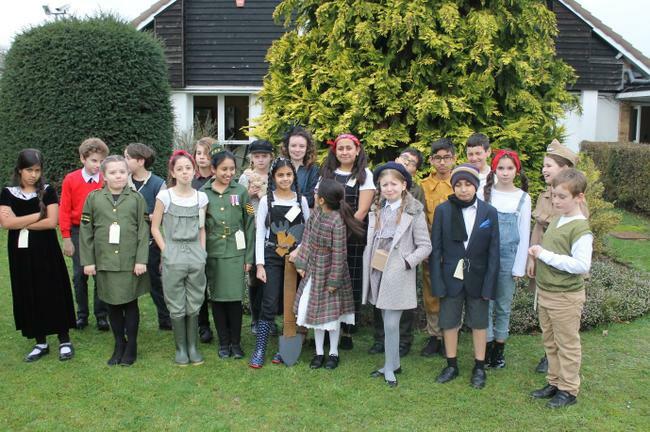 In WW2 costume, the children lined up in the playground and were ‘selected’ by different families. This enabled the children to empathise with Willie’s character and how he would have felt when presented to Mister Tom. Today was a day to remember. Mr Chamberlain has announced that England is at war with Germany. Now I feel my anxiety run through me and I think I have finally figured it out. This is why many children, as young as me and older, have been evacuated. I’m scared, worried and confused. Will I be one of those evacuees? My mind is filled with woeful thoughts and possibilities. What will happen to Dad? Would he have to go and fight? Is this the right way to react to the situation? I don’t think I trust Mr Chamberlain, nor Mr Hitler, after he has done this. Is it his fault? My mind is filled with too many thoughts, I can’t think straight. Mr Chamberlain sounded sad, even though his posh voice covered it; there was still a hint of sadness. Most of the children listening got really scared and started crying. As we read the book together, we used drama techniques such as freeze frames and conscience allies to explore different characters. The children used the text to find evidence to support ideas such as ‘Mister Tom was a grumpy man’ and ‘Willie was a nervous child’. 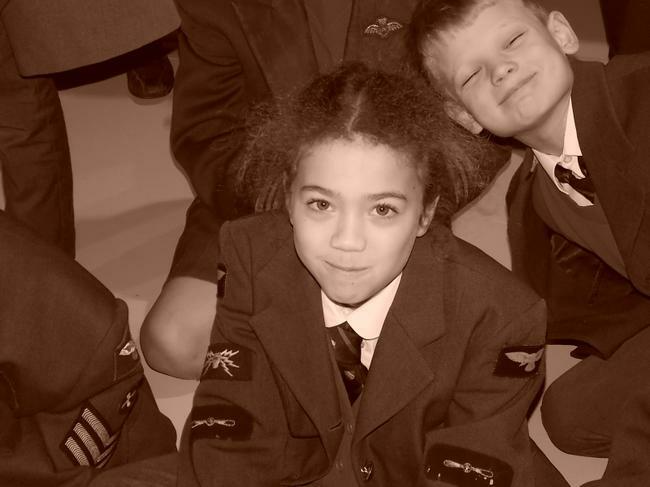 From the understanding of character, the children had many opportunities to write in role. These included diary entries, letters and descriptive passages. As the children developed their writing and reading skills it was very clear that the children were enjoying the book. An audible gasp escaped many lips at points. 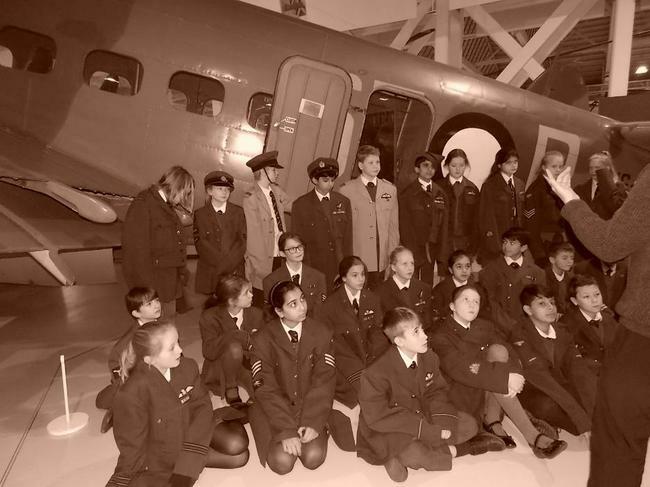 Our trip to RAF Hendon museum, at the beginning of the topic, helped the children to understand what life was like for a child in the UK during WW2. We practiced an air raid and learnt about the sacrifices many normal men, women and children made in order to win the war. “I have a lot to fill you in with since we last spoke. I, of all people, have been forced to look after a London evacuee. I do feel a bit sorry for the little fellow as he’s been treated like vermin back at home by his mother. 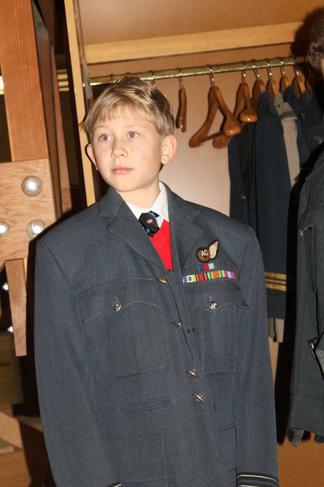 His name is William Beech, he is now nine years old and still can’t read or write! He is, though, an excellent drawer. He’s learning quickly and I’m starting to enjoy his presence. It was his birthday yesterday and I had to teach him to blow out a candle and make a wish – bit sad isn’t it? 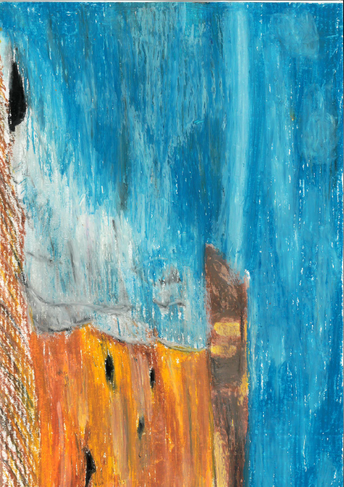 When I went to buy him some paints and drawing things, memories of Rachel came flooding back to me; not in the painful, sad way like usual, but in a nice, heart-warming way. The children also completed art work inspired by the setting of Little Weirwold in preparation for their big write: a story set in the idyllic village of Little Weirwold during WW2. A letter from Will to his best friend Zach, after Will has learnt of his death in London. Are you really gone? I miss you; I have felt so lonely since you left me and nothing can make me happy, not even drawing. I think you are really gone. You went and left me here alone. Without you, there is no fun anywhere. Ginnie and George have accepted the fact that you have died. Carrie hates the fact she never got to say a proper goodbye when you went off to London. The Littles have let me have your bike and I can now ride! If you don’t want me to, then I can put it in the Anderson shelter. Well I guess you’re dead now and you can’t stop me. YOU’RE DEAD. I feel too numb to even cry. Why would you leave me? After all I have been through? YOU LEFT ME. What did I do to deserve this? My mother is gone. And Trudy. And now you. I didn’t feel like myself, I still don’t fully, but I do now feel like I can live without you but be both Zach and Will. You can be alive inside me, I know it. I can speak to you, hear you, see you. You’re not really gone, not if I remember you. I know you are gone but you are still alive within me. 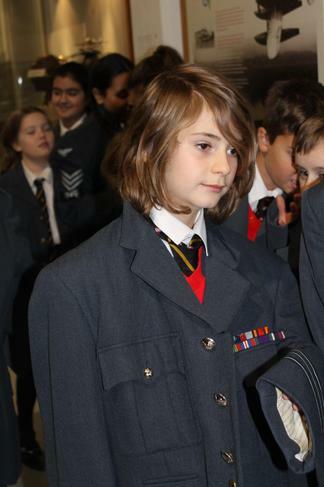 What did Year Six think? 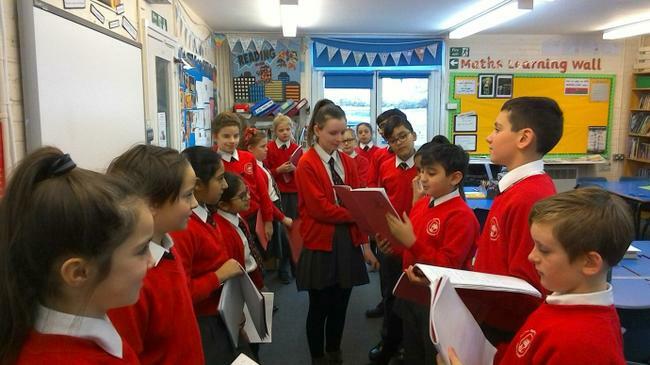 ‘It was really fun reading Goodnight Mister Tom and basing our writing on the book. The work we did helped us to understand each of the character’s feelings. The book was full of detail, it was like you went on a journey with the characters and that made the book really powerful’ – Daisy. 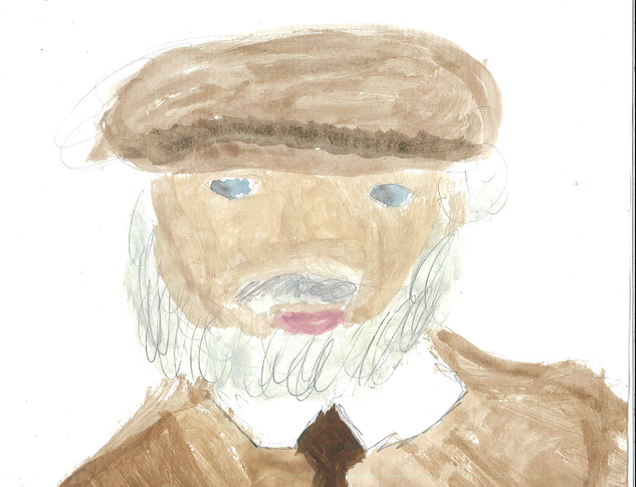 ‘Goodnight Mister Tom was great – you couldn’t guess what would happen next. It was full of surprises and emotional ups and downs. It taught us about life and how people cope with tradgey and grieving. The way we looked at detail at the book really helped us to write our own stories’ – Brendan.